Three large bed, 2 bath, with Study. R33 Insulation, Thermal Pane Windows, Radiant Barrier, Smart Siding, 50 gal Water Heater, Ceiling Fans, Plank Oak Tile, Rolled Edge Counter tops, Stainless Appliances! 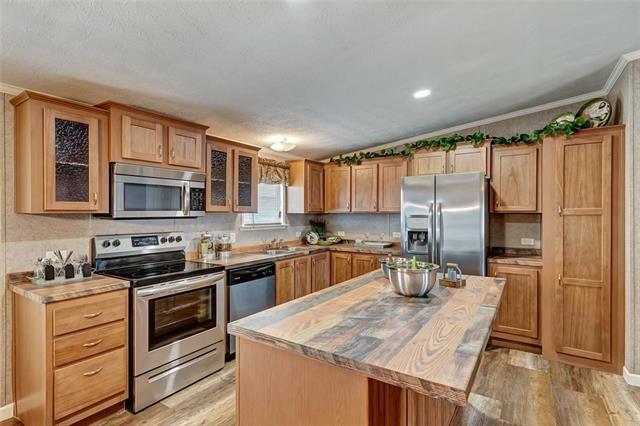 (smooth-top range, dishwasher, side-by-side fridge, microwave) Surround Sound!, Real Wood Cabinet Doors!, Overhead Air Ducts!, Heavy Duty Fiber-Acrylic Tubs and Showers!, Upgraded trim! (baseboards, crown, casing), Accent walls, Backs to LCRA park. 3.5% down FHA Financing available.